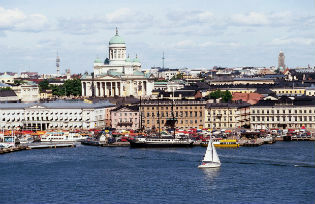 Finland underwent a spectacular populist upheaval in 2011, when the True Finns won over nearly one fifth of the vote and became the main opposition party to the current government. In recent decades in Finland, there has prevailed a management and decision-making culture known as consensus culture – meaning, striving toward agreement and understanding. In consensual decision-making the debate is not reduced to alternatives that can be voted on, instead a solution is sought by negotiating. In this consensus culture, minority interests are taken into consideration and they are fed into a whole that aims to please as many people as possible. There is a history to this: for a small country which has always had to get along with an external authority (Sweden, Russia, the EU), it has been beneficial to stay internally united, or at least pose as united. Often this has been wise indeed. One of the strengths of a small country is that many voices have the opportunity to be heard in the decision-making process and have their views taken into account. For instance in labour market and social policy, employers, employees, and public authorities have for decades collaborated closely. If employers and employees are ready to agree on a general policy for salary rises in a rigorous and orderly fashion, without strikes or anything out of the ordinary, then the state is often committed to supporting these decisions through its own decisions on taxes or social policies. Consensus politics has often been successful: it has been regarded as a central background factor in the creation of a welfare state. President Urho Kekkonen, a central architect of this consensus-minded Finland, was excessively powerful in office. Since then, the President’s power has been significantly and concertedly diminished while the Parliament’s – and in particular the government’s – power has been increased. But as a decision-making culture, consensus has lived on: many Finnish organizations want to base their decisions on negotiations rather than on voting. Consensus may sound like a pleasant and compassionate decision-making culture but it has its clear drawbacks. Agreement is often not genuine but dictated by the stronger party. ‘Forced consensus’ is just as alive as consensus in Finland. Finland has a true multi-party system: today, there are eight government parties, and as many as six of them are in the government. There are no large parties in Finland, but there are four middle-sized ones. Each of these receives a little under or a little over one fifth of the votes. Today, both the most rightist and the most leftist party are in the government. The same motley government also encompasses the cultural liberalist Green League and the socially conservative Christian Democrats. This six-party Rainbow Coalition means that, often, the government maintains a forced consensus and smiles through clenched teeth, whereas the main opposition party, the populist Finns Party, is able to easily find faults in the government’s actions. A drawback of the consensus culture is that in Finland there is only a very thin culture of debate regarding society. When agreement is sought too fast, without a decent discussion, some views are bound to be left unexpressed. In Finland, ‘rocking the boat’ or expressing dissent is often considered inappropriate behaviour. One can easily get a reputation for being a ‘dissident’ with very little original thinking. Debaters who present even mildly non-mainstream opinions are publicly branded as ‘uncooperative’. The populist rhetoric cuts through this muffled discussion culture like a hot knife through butter, because people have a pent-up need for discussion. ‘That Soini guy is so good because he dares to speak! And he really knows how to speak!’ I once heard an elderly woman gushing. A prerequisite for a consensus culture is a command of certain behavioural codes that have been polished over the years, as well as good personal contacts. Finnish policymakers have been criticised because they are friends with each other and often understand the other parties’ views all too easily. In a country with a little over five million inhabitants, the political elite is also small. It is not wise to break off contact, because you will probably have to work with the same people later. This is both a strength and a weakness in Finnish political culture. The consensus culture and the behavioural code linked to it can sometimes hinder differences of opinion from coming to a head, or even being expressed. On the other hand, it helps in finding solutions that suit as many as possible. When this subdued discussion circle is penetrated by a force who states that he will only follow his own rules, and who strides into the middle of the room unconcerned with traditional behavioural codes, the result is confusion. A good example of the connection between the lack of a discussion culture and the rise of populism is how the term ’immigration-critical’ has wound up as part of the Finnish vocabulary. The term ‘immigration-critical’ is a concept created in anti-immigration circles, which has successfully infiltrated the Finnish language. Ten years ago, this word did not exist. Now it is often used by even the mainstream media. A continuing topic of discussion is whether ‘immigration-criticism’ is simply a euphemism for racism – and where the boundary between freedom of speech and racism lies. Researcher Milla Hannula, who supports nationalist politics, has published a book called Maassa maan tavalla – Maahanmuuttokritiikin lyhyt historia (‘When in Rome – A Brief History of Immigration-Criticism’). Hannula says that only some years ago it was forbidden to discuss the negative phenomena linked to immigration. It is an interesting thought that patriotism, which used to be a virtue in Finland, has turned into something to be ridiculed. It is true that the word has developed a reactionary aura in present-day language, which certainly insults many who consider themselves traditionally patriotic. In her book, Hannula states that in addition to the powers that be, the media also ’psychologised and demonised’ citizens who expressed critical views, and did not publish their letters to the editor. According to Hannula, this was the impetus behind the creation of the civic organization Suomen Sisu, ‘a modern nationalist movement which aims to strengthen a healthy national and cultural self-esteem’. The movement is considered one of the central coalitions of immigration opposition in Finland. As I now read the Sisu website, I find the typical ’different peoples should not be deliberately mixed’ kind of thinking. To my surprise, I also find a lot of good in the organization’s principles. I, too, am patriotic; I appreciate Finnish culture and love my mother tongue. I, too, do not support replacing national cultures with a single, English-speaking world culture. I, too, balk at the idea that ‘the development of natural gender identity needs to be secured from childhood’, but I doubt if I understand the word ‘natural’ in the same way as Sisu members. For them, ‘natural’ refers to heterosexuality, whereas for me it covers the whole spectrum of nature, including transgenders and intersexuality. But as a citizen and a journalist I agree with these nationalist citizens that ‘limiting and removing people’s freedom of speech may give rise to radicalism, which is why there should be nothing that cannot be discussed or criticised’. Here the nationalist Sisu members hit the nail on the head. I am afraid that Finnish consensus culture, which favours silence and adaptation instead of the discussing and handling conflicts, has for its part laid the groundwork for populist movements. If some people have felt, as Milla Hannula states, that they are not allowed to express their views and are not being heard in an appropriate discussion, the only alternative is inappropriate discussion. That is what we have now. Another wholly separate and especially important point is that conflicting matters should be discussed without insulting others. This is a skill in which Finns need further practice. After a long era of silence, we are now at the other extreme. Nowadays on internet discussion forums, many appeal to freedom of speech. This concept has moved from applying to speeches by the elite to citizens’ everyday use – but at the same time its meaning has changed. Many regard freedom of speech as a motivation or even as an obligation to express oneself without any restraint, manners, or other boundaries. ’If someone is insulted by what I say, it’s not my responsibility’, wrote one freedom-of-speech-loving Finn on a discussion forum. Many are completely surprised by the fact that freedom of speech is restricted by criminal law, in Finland as well as in all of Europe, and that defamation is a crime on the net as well. The culture of silence has been a topic of many letters to the editor in the last couple of years. The writers have vented their resentment at how, for instance, when a Finn is shouting obscenities to a brown-skinned youth on a bus, the other passengers do not react at all, but instead stare out of the windows as if they have not heard a thing. This is a typical Finnish way of behaving, but sometimes there are exceptions as well. A while back we saw in the media how Pekka Sauri, Assistant City Manager of Helsinki, had politely escorted a shouting racist off a tram. ‘The journey continued in typical Finnish silence’, Sauri said of the situation afterwards in an online news article on the MTV3 channel. Interfering with racism is so uncommon in Finland that when someone does so, it makes the headlines. Johanna Korhonen is a journalist with extensive experience in different media outlets: she has been business editor of the Helsingin Sanomat, editor and CEO of Verkkotie Oy, talk show host for the Finnish Broadcasting Company YLE and host for a political music show on the Finnish Broadcasting Company Radio 1. She has also been an advisor to the Finnish Ministry of Justice.